One thing that the internet can be depended upon to do, consistently and thoroughly, is destroy the fondest hopes and dreams of nerds everywhere. 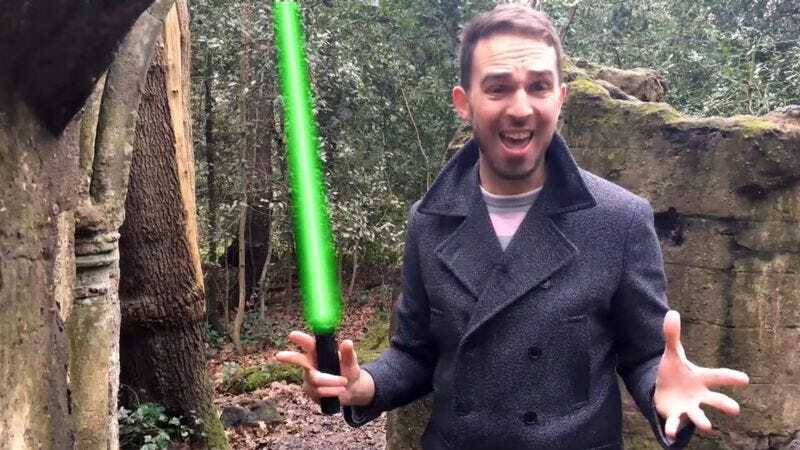 In a new video called “The Fundamental Flaw With Lightsabers,” British physicist and radio presenter Martin Archer presents viewers with the sad news that the weapon of choice of Jedi knights in the Star Wars universe is ludicrously impractical. Humanity currently does not have the power requirements necessary to make a real lightsaber, Archer says. But even if the weapons were real, they’d be far too dangerous for anyone to use. Blame “the pesky laws of physics” for that. In order to understand why real lightsabers should never, ever be manufactured, it is necessary to learn how they would theoretically work. At heart, the weapon’s blade is just super-heated plasma. It glows, Archer says, because the plasma is so ridiculously hot. How hot is that, exactly? Well, Darth Vader’s red lightsaber would be about 1,340 degrees Fahrenheit. A nice blue blade, like the one wielded by Obi-Wan Kenobi, would heat up to 26,500 degrees. Starting to see a problem emerging here? Real lightsaber beams, Archer says, would be controlled with magnets. The problem would occur when two plasma beams connect, as during a lightsaber duel. “Reconnection releases a huge amount of energy,” Archer asserts. That would result in a huge explosion that would probably burn the combatant’s limbs and skin off. Here, one might argue, is where Vader would have a tremendous advantage against nearly any opponent. He’s already been through that.